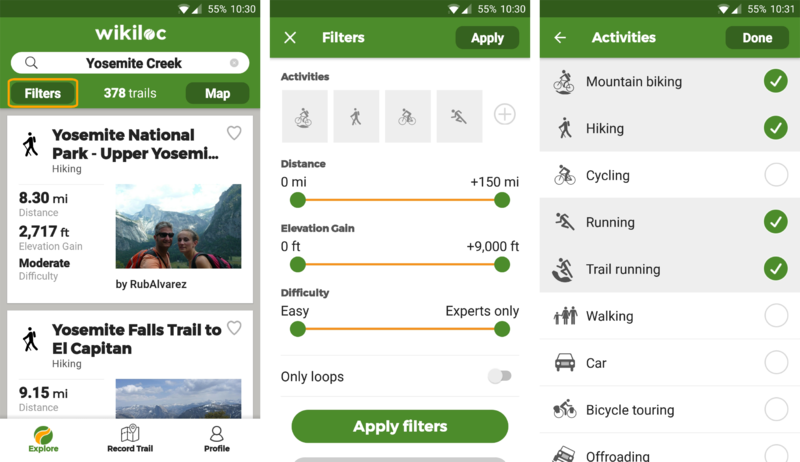 The Explore tab is the main space to search and filter routes. 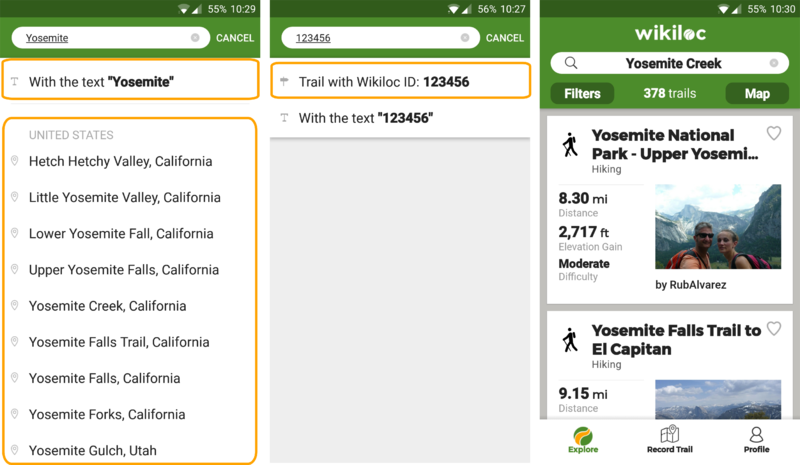 Free text search: place names, and Trail ID. 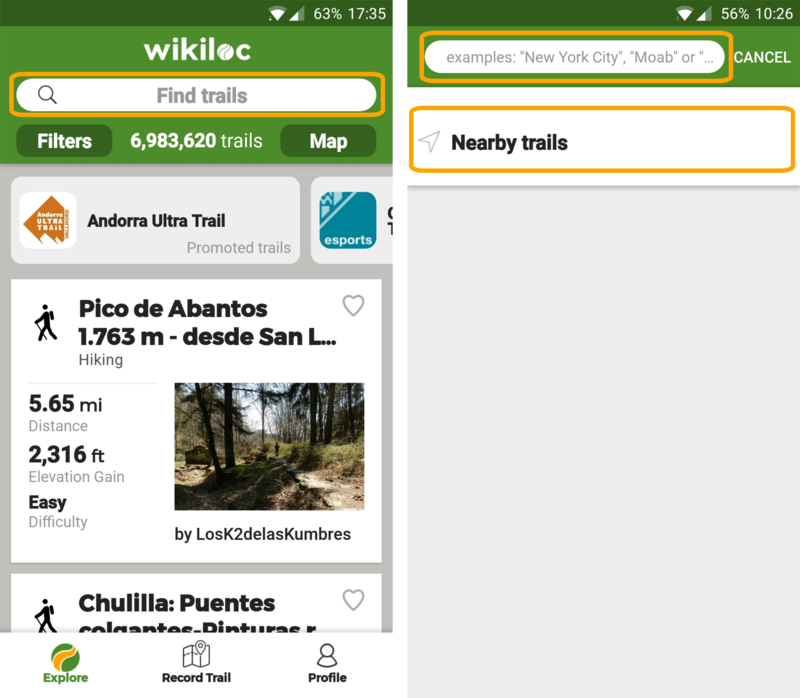 You can see the trail identifier at the bottom of the Web trail's download page ( example). Recent searches history (it will save up to 10). 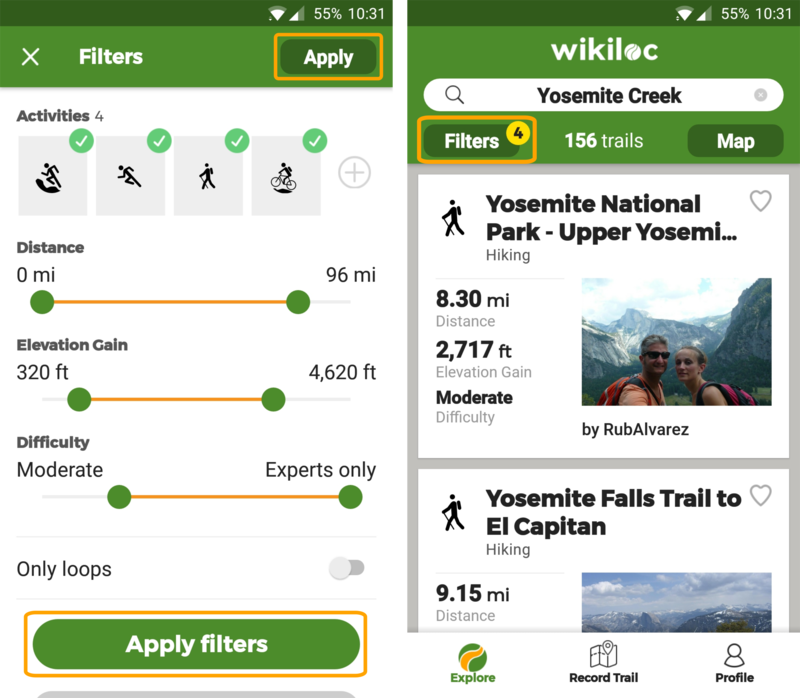 Once the option you want is selected, the filter is applied and you will see that routes results meet the search. The number of active filters will appear next to the "filters" button. In case you want to remove the applied filters applied, you click to "Clear Filters" at the bottom of the filters page.